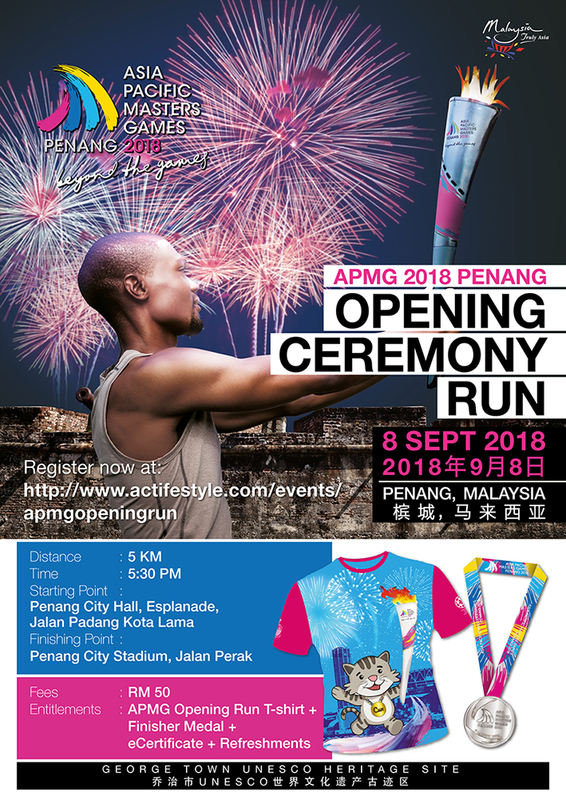 The Asia Pacific Masters Games 2018 opening ceremony will be held on 8th September, 2018 at the Penang City Stadium, at the heart of the Penang City. The APMG Opening Ceremony Run start from City Hall, Esplanade (Padang Kota Lama), a seafront location, the run which will bring you thru the heart of the George Town UNESCO World Heritage Site before end at the Penang City Stadium, the oldest built stadium since 1932 still in use in Malaysia. * Participant T-Shirts to wear during the run. * Finisher Medal upon completion of the run within 1.5 hour. * Entrance to the Asia Pacific Masters Games Grand Opening Ceremony. * Shuttle buses will be arranged to transfer the participant from City Stadium back to City Hall at 10:00PM only after the ceremony on first-come-first-serve basis. 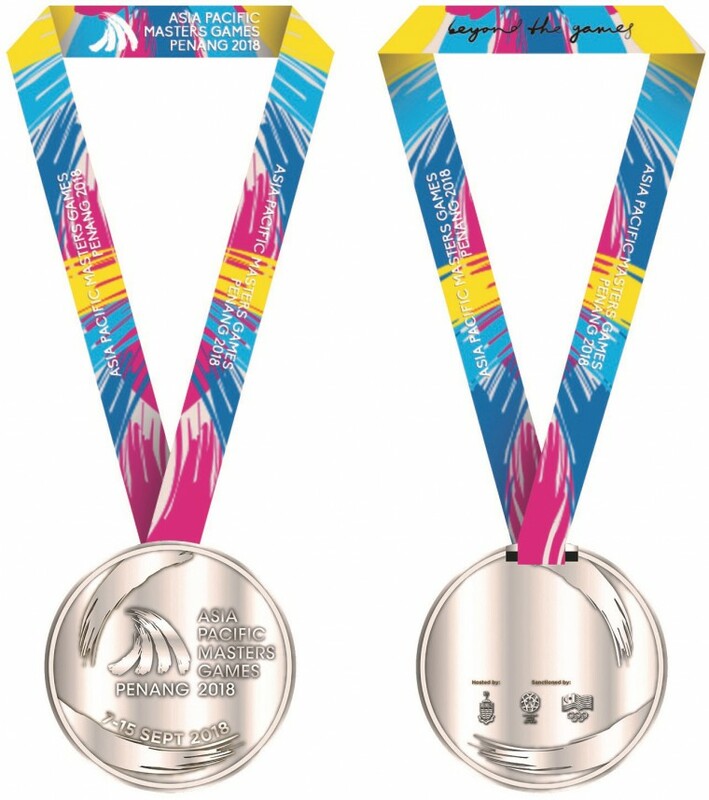 The inaugural Asia Pacific Masters Games (APMG) 2018 in Penang is the first-ever multi-sport Masters Games to be staged in Asia. The event on 7-15 Sept, 2018 is expected to attract more than 5,000 athletes from around the world, and is hosted by the Penang state government with the support of Penang Island City Council and Seberang Perai Municipal Council. This international event is open to any masters-age person (Amateur) around the world, on average above 30 years old. No selection or qualifying processes involved, everyone can compete in your own age category. A total of 22 sports will be contested: Archery, Athletics, Badminton, Basketball, Cycling, Football, Golf, Hockey, Lion Dance, Netball, Pencak Silat, Shooting, Softball, Squash, Swimming, Table Tennis, Taekwondo, Tennis, Tenpin Bowling, Volleyball, Weightlifting and Wushu. The Games will have an opening and a closing ceremony with APMG 2018 torch passing, similar to other international multi-sports sporting events. The Games is sanctioned by the Olympic Council of Malaysia (OCM), International Masters Games Association (IMGA) and supported by Sport Commission. To date, there are 47 countries around the world of people have registered as participants for APMG Penang 2018. For more information about the Games, visit www.apmg2018.com. The Esplanade Padang Kota Lama field is adjacent to Fort Cornwallis, the spot where the British Empire’s Captain Francis Light, the founder of George Town, first landed in 1786. He subsequently built a fort at the location, and the entire area has now become a top attraction and hang-out spot for locals and tourists alike. The City Stadium, the oldest built stadium still in use in Malaysia, it was built in 1932 by the British government. Participant T-Shirts to wear during the run. Finisher Medal upon completion within 1.5 hour. Entrance to the Asia Pacific Masters Games Grand Opening Ceremony. 7th September, 2018 (Friday) from 2:00pm to 6:00pm. 8th September, 2018 (Saturday) from 10:00am to 2:30pm. Venue: BSG The Galleria, 52 Jalan Sultan Ahmad Shah, Georgetown, Penang. Tel: +60 4-229 6288. Strictly NO collection an hour before flag-off and NO collection on held on the flag-off venue, you can ask your friend to collect on behalf by passing him/her your registration receipt. 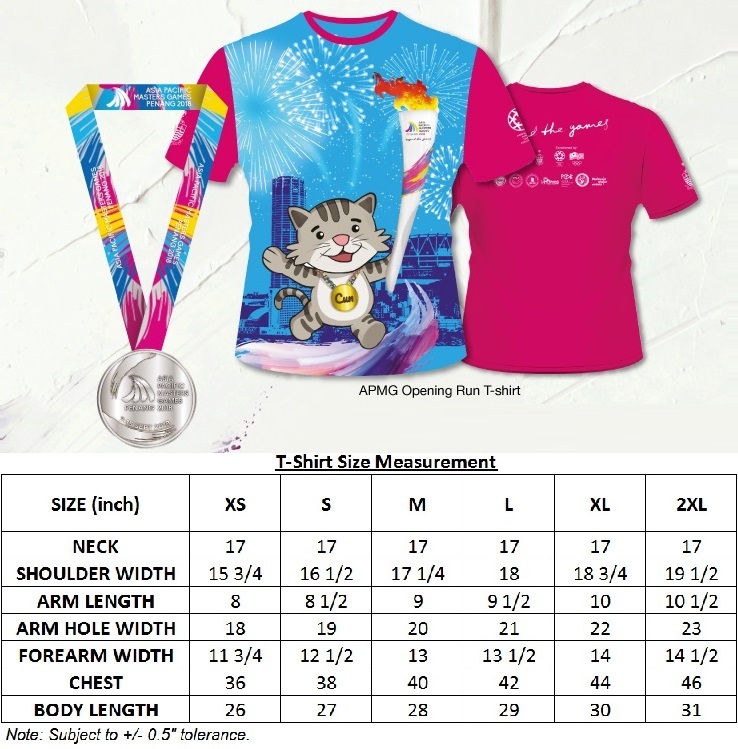 Wearing of official event T-shirts strongly encouraged, only participant with official event T-shirts are allow to take the transfer bus from City Stadium back to Town Hall after the Opening Ceremony 10:00PM. The starting point will be at Town Hall, Esplanade Jalan Padang Kota Lama. All runners must be at the starting line at 5:00pm, with flag-off at 6:00pm. The finishing point will also be at Penang City Stadium, Jalan Perak. Please do not crowd the finishing area and make your way to the drink / rest areas as soon as possible and be seated at the stadium seat and ready to enjoy the APMG Grand Opening Ceremony. Shuttle bus will be arranged for those who signed up for require bus transfer from City Stadium to Esplanade after 10:00PM, limited bus available, base on first-come-first-serve. The organisers reserve the right to amend and/or make changes to the event rules, terms and conditions, running routes and/or other arrangements as they deem fit/appropriate, to cancel, to postpone or reschedule the event date to a later date for the safety of the participants and/or to prevent any potential hazards in the running of the race, at any time without prior notice to the participant. In such cases, every effort will be made to inform the participant prior to the date of the race. The organiser shall not be held liable for any loss or inconvenience caused due to such changes. 5. I understand that the information that I have provided herein will be included in the Actife Style Concept database. I also understand that information of a biological nature including my name, date of birth, home state, results, career highlights and interests may be released to the media in response to general requests.